Snowdrop Esthetics is proud to use Skin Script, Image Skincare, and Bio-Therapeutic professional products in our skincare treatments. What you use between your professional treatments is an essential part of your comprehensive skincare plan. As an authorized retailer of Skin Script and Image Skincare products, we can recommend and offer a range of professional grade products for the best home care to help you achieve your desired skin care goals. Please see below for more information about each of these innovative lines. 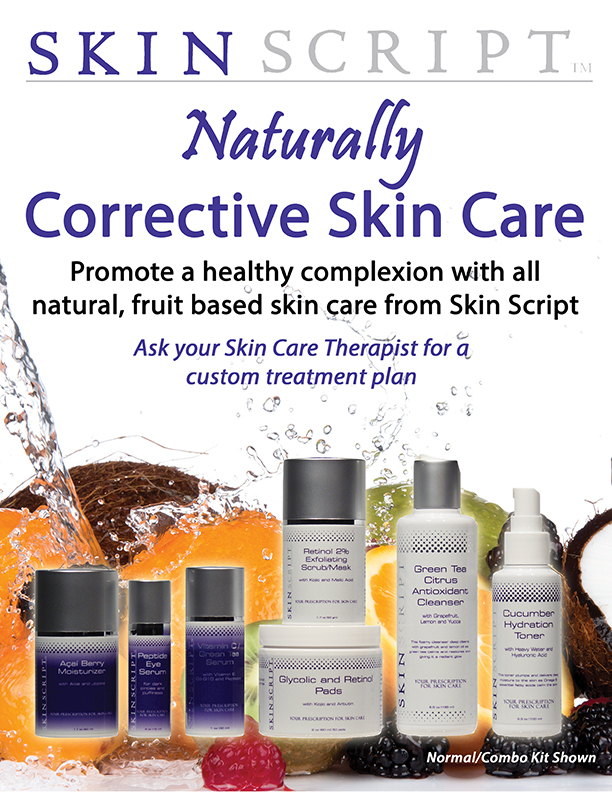 This natural, fruit-based line specializes in corrective skin care for all skin types and ethnicities. While natural, this is a clinical, professional skin care line that contains retinols, glycolics, lactics, salicylics and natural lighteners / brighteners which allow customized treatments for all skin types and conditions. Skin Script products were designed and developed under the direction of highly-respected physicians and estheticians to create a unique skincare line to treat their clients’ top concerns while improving their skin’s appearance and repairing damaged skin. Known as one of the most innovative brands in the industry, Image Skincare consistently produces the latest anti-aging, balancing, hydrating, and illuminating technologies to further its mission of helping the world to Age Later.™ From using the highest percentages of active ingredients allowable by the FDA, to seeking out the latest advancements in skincare technology, IMAGE Skincare truly believes in offering revolutionary products for every skin type and every skin concern. Bio-Therapeutic is devoted to creating products and equipment that combine technology and traditional skin care into technology accelerated skin care. Bio-Therapeutics’ latest advancement is the reformulation of the bt-Cocktail 3-part system, which for nearly a decade has received rave reviews and awards. With a lineup of new ingredients, the bt-Cocktail offers the latest in plant stem cell and peptide technology. Included in the formulas are new compounds which nurture cellular energy, and others that serve as advanced cell protectants and coexist to encourage reparative benefits.